With so many options and alternatives available to consumers, how can your small business make itself stand out form the crowd? Did you know there are approximately 1.17 million small businesses in Canada? All of which are competing with each other for customers and sales. So with so many options and alternatives available to consumers, how can your small business make itself stand out form the crowd? One option is influencer marketing for small business. You’ve probably heard of influencer marketing or an influencer. In fact, you’ve probably considered it to promote your products or services. But, how can influencer marketing benefit your small business? Influencer marketing is a common form of marketing in which focus is placed on influential people. Basically, influencer marketing involves using influencers who are people with the ability to sway or persuade others to buy your products or services. The concept of influencer marketing is dependent on inverting the marketing funnel. 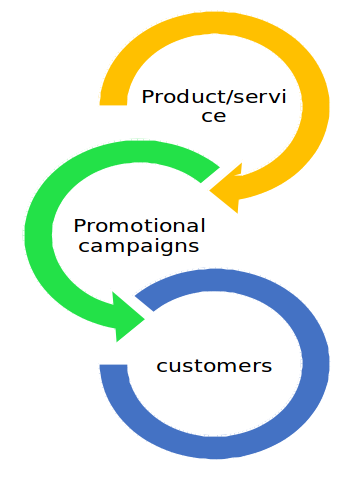 The traditional marketing funnel is: Product/Service > Promotional Campaigns > Customers. 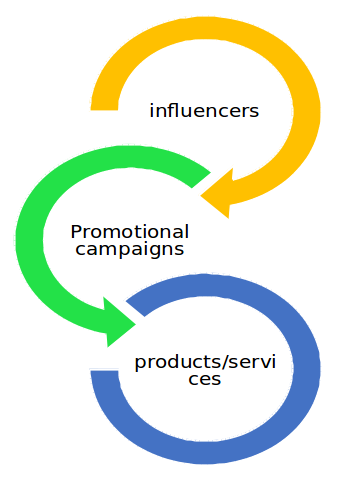 The influencer marketing funnel is: Influencers > Promotional Campaigns > Products/Services. Influencer marketing identifies individuals that have influence over potential customers and positions marketing activities around these influencers. Influencer marketing also offers the products or services offered by a brand the potential to unify their sales, social media, and digital marketing through powerful and relevant relationship-based communication. Just think of influencers as consumers. Consumers love hearing from other consumers right? On the other hand, you can promote your product or service by hiring influencers such as a fitness specialist who is active on a blog or social media. This fitness specialist will have thousands of followers who are specifically interested in fitness so they’ll be more likely to buy athleisure apparel. Hiring an influencer will cost you a lot less than a celebrity and delivers better results for your product because it’ll be placed on a niche market. Celebrities are much more visible than influencers, but it doesn’t necessarily mean that they’re more influential. Using influencers makes more sense than using celebrities to promote your products or services. 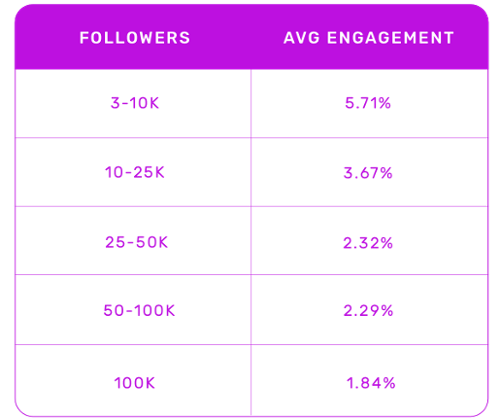 Influencers with 3-10K followers receive an average engagement rate of 5.71% compared to influencers with 100K followers who receives an average engagement rate of 1.84%. Influencer marketing campaigns are flexible and you’ll be able to fit them into your budget. You can look into offer free products or services as a form of compensation. The success of a small business is based on a loyal customer base. So with influencer marketing, you’ll be able to build brand loyalty. Influencer marketing will allow you to carry targeting advertising campaigns. This will result in generating more leads in order to increase your sales. You’ll be able to track ROI with influencer marketing. There are various tools and metrics you can use to track the success of every influencer marketing campaign. You’ll receive more traffic as influencers posts content on their blog or social media accounts with a link to your website and social media account. The first thing you need to do is to find your influencers. Start by looking for people on social media who post about your desired niches or subjects. The second thing you need to do is to make contact. Once you find the influencers you’d like to work with, you’ll need to reach out and explain what your business is, what you’re looking for, and why they’d be a good fit for the campaign. In a perfect world, you can find influencers who will be willing to promote your product or service for free. However, this isn’t how the way things work in today’s world. So the third thing you need to do is get ready to set a budget. When you made contact with the influencer, you’ll need to agree on the scope of the project and the compensation. The fourth thing you need to do is produce and approve content. When you’ve agreed to the terms of the campaign. You’ll need to produce and approve content before any posts goes lives on their blog or social media account. Then, when you’ve approved the content, your influencer can start sharing them with their followers. The fifth thing you need to do is track and measure the results. Now that your posts has been published, it’s time to track and measure the success of the campaign. You’ll want to find out if people are clicking on it, liking it, or leaving comments on the posts. We offer services in Experiential Field Marketing, On-site Sales Assist, Retail Management and Digital Marketing. We are Toronto SEO Experts, helping businesses rank on the first page of Google.